Vegas Casino Online is an online casino powered by Realtime Gaming owned by Park Lane Services Ltd.
You can play in United States Dollar. 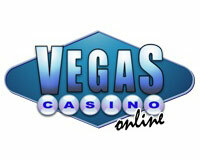 128 bonuses for Vegas Casino. This casino does not allow two free bonuses in a row. double your fun at slots of vegas with two $100 free chips! This is a monthly bonus credited upon 2nd deposit.